Good News: Mental Illness is Being Talked about! Recently I wrote a blog entitled “Is there anyone with influence who cares about the mentally ill?“. I am pleased to see that it is being talked about. Here are some articles that prove that it is still being talked about. 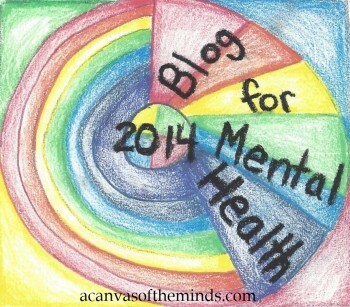 Those with mental illnesses and advocates need to unite to have a larger voice. Please help to make this happen. This entry was posted in Uncategorized and tagged advocates, advocates for mentally ill, bipolar disorder, depression, eating disorders, mania, mental health, mental illness, mental illness in the news, PTSD, schizophrenia. Bookmark the permalink. 2 Responses to Good News: Mental Illness is Being Talked about! I greatly appreciate your post. Thank you for spreading the word! 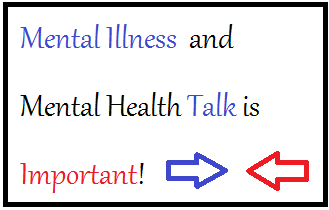 It’s okay to talk about mental illness!